To anyone who grew up in Southern California, Bob’s Big Boy doesn’t need an introduction. Yet, if not for the work of preservationists, these iconic buildings would have disappeared, including one (now a Coco’s) down the road from Disneyland and Christ Cathedral. Last year, In-N-Out worked with the city of Garden Grove to adapt the Bob’s Big Boy to its needs. 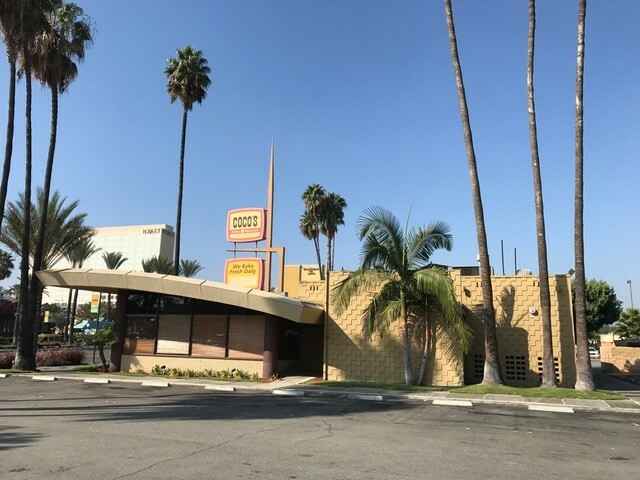 Their plans would have irreversibly altered the historic fabric of this Googie style building designed by Armet and Davis in 1965. Preserve Orange County (POC) worked with the city and the company on alternatives that would address the restaurant’s needs while maintaining the defining features of the building’s architecture. In the end, In-N-Out withdrew its application, and POC is now guiding the owners toward a sensitive re-use of the property. Bob’s Big Boy was POC’s first advocacy initiative as a new organization and we have since helped community groups in Fullerton, Orange, Santa Ana, and Laguna Beach. The POC board is made up of preservation professionals in relevant fields of architecture, law, planning, real estate, politics, communications, and heritage conservation. Residents see the value of a county-wide organization that can be tapped as needed for advice and tactical support. 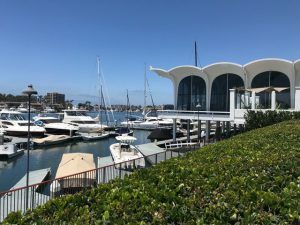 This fall we worked with a local coalition in Newport Beach concerned about a large scale development proposed on the waterfront. There are many aspects of the development that the coalition is challenging but POC became a useful partner for understanding the impact of the development on the historic building that’s on the property. The former Stuft Shirt restaurant (now A’maree’s boutique) was built in 1961 and is the work of master architects, Thornton Ladd and John Kelsey. This New Formalist structure was successfully rehabilitated in the 2000s, earning it a Preservation Design Award from CPF in 2011. The owners no longer plan to demolish the building, however, a parking structure immediately adjacent to the building is being proposed that will mask its facade. POC will continue to be involved until a suitable mitigation is found. 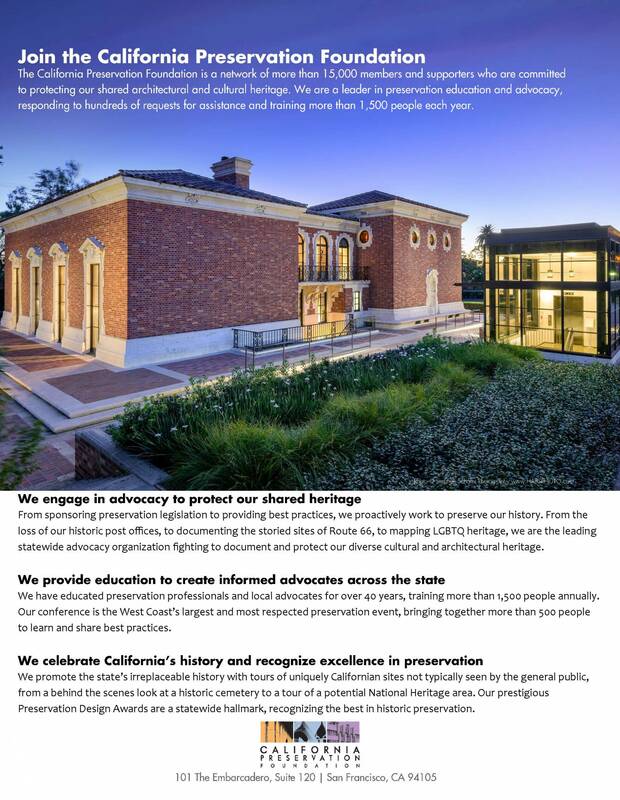 In addition to advocacy we aim to spread awareness about the historic built environment in Orange County and the tools available – or required – to protect it. Our Facebook page is an active hub and we blog regularly about historic places in the county. Presentations, workshops and tours are all part of our programming. In May 2019, we’re hosting a tour of homes in the newly designated Eichler tracts in the city of Orange. Tickets will go on sale in the new year at www.preserveorangecounty.org. Orange County is full of surprises lately, and Preserve Orange County is paying attention. The county’s youngest city is embracing historic preservation, and one of its oldest cities is trying to roll back longstanding formal protections for some historic resources. 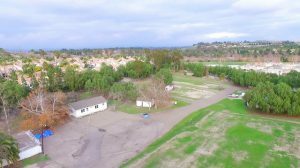 Aliso Viejo, incorporated in 2001, is undertaking a rehabilitation of the historic, vernacular farm structures on property that was once the Niguel Moulton Ranch. There are few tangible examples of the county’s ranching and farming heritage so this is an important contribution. In Laguna Beach, city council directed staff recently to find a way to make every element of the 30-year-old preservation program optional. Contradicting its General Plan as well as the advice of its own city attorney and city staff, Laguna risks losing the vernacular cottages that together convey the beach village life of the early twentieth century, still very much a part of Laguna’s identity. 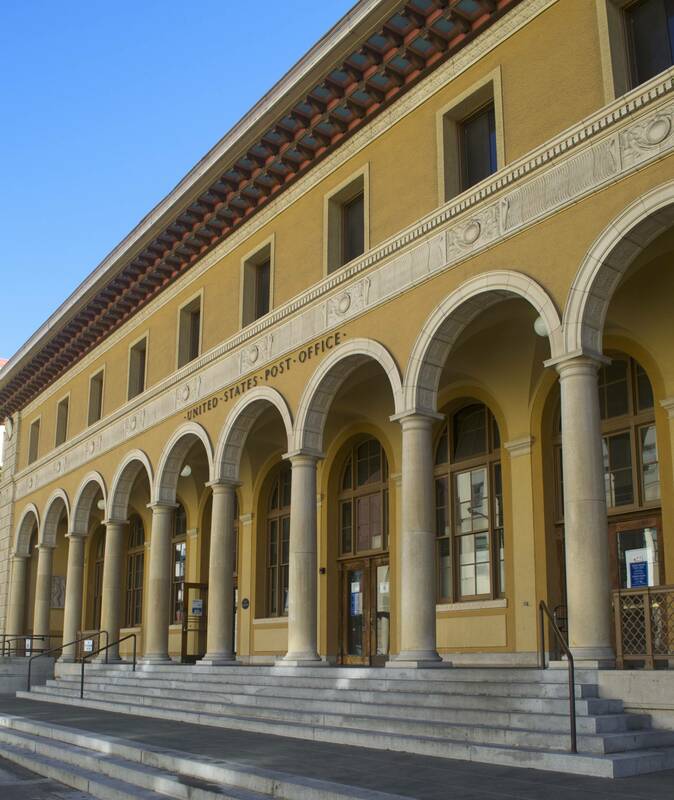 With a new city council in place, Preserve Orange County will be monitoring closely. Historic Wintersburg, the century’s old Japanese American property in Huntington Beach, continues to be vulnerable to neglect and vandalism while its status is under discussion between the current owner and local parties. Its profile was helpfully raised in October when the indefatigable advocate for Wintersburg, Mary Adams Urashima, was presented with the CPF President’s Award. In November, the City of Orange approved local district status and design guidelines for the three mid-century modern housing tracts developed by Joseph Eichler from 1960 to 1964, the largest collection of Eichlers in Southern California with a majority of the 339 houses being contributors. Architects Jones & Emmons, Anshen & Allen, and Claude Oakland designed the houses of Fairmeadow, Fairview and Fairhills. The first preservation initiative in Southern California was undertaken by Charles Lummis, Arthur Benton and the Landmarks Club in 1896 at the Mission San Juan Capistrano. Current stewards of the Mission – the Mission Preservation Foundation and Executive Director, Mechelle Lawrence Adams- raised $600,000 for the mission preservation fund at the annual gala in September. 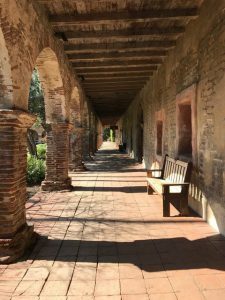 Mission SJC is serious about preservation and about understanding its role in the history of California. 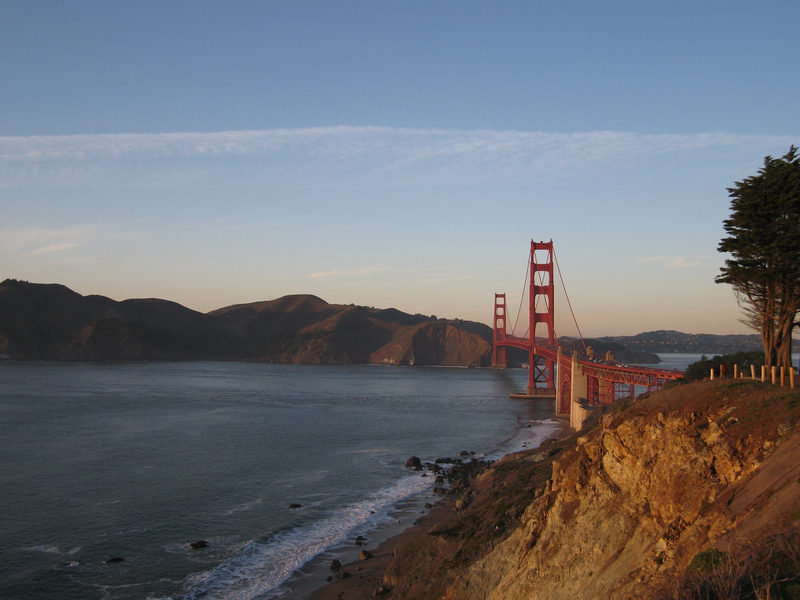 Earlier this year, the Mission invited Professors Bob Senkewicz, Rose Marie Beebe and Ruben Mendoza to present their scholarship on pre-historical and Spanish California. You can find their presentations at www.preserveorangecounty.org/architectural-history. What a great article. I had very little idea of how much history and cultural heritage surrounded us. Then I read this.